The tutorial is aimed at first time to intermediate welders. It covers setting up the welder, demonstrates technique, and uses videos of welding in progress to show what should happen. This tutorial is aimed at anyone who has moved from another welding process to TIG and isn't quite getting the results they might like. Written with the support of specialists and including widescreen videos the tutorial fills in the gaps. The arc welding tutorial (otherwise known as MMA or Stick welding) was produced with the help and guidance of professional welders. Again the tutorial is aimed at beginner and intermediate welders. 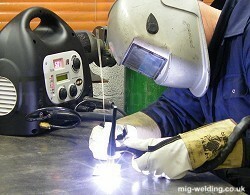 The joint pages will also be useful read for MIG and TIG welders. How to weld just about anything from a nuclear power station to a bicycle frame! This section summarises the welding procedures and consumables that might be used to weld the more widely used types of steel, and also covers some of the science including hydrogen embrittlement. A tutorial covering automotive spray painting techniques aimed at the DIY painter. The tutorial includes setting up the spray gun, spraying technique, and a paint process you might follow to paint a car. 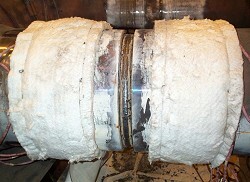 Additional pages discuss setting up a compressed air system, sandblasting and paint stripping. Lights on dash after after taking brake pads out, won`t go off-Corolla. The forum is a friendly place where all are welcome and no question or answer is considered silly. Join in to help develop your welding skills, or help others develop theirs. Information about the website and author including the boring stuff like rules, privacy and copyright, how to send feedback, and contact details.